Size of this PNG preview of this SVG file: 480 × 288 pixels. Other resolutions: 320 × 192 pixels | 640 × 384 pixels | 800 × 480 pixels | 1,024 × 614 pixels | 1,280 × 768 pixels. This image was selected as picture of the day on the English Wikipedia for July 6, 2018. This image appeared on Wikipedia's Main Page in the Did you know? column on 20 November 2015 (see archives). English: SVG version of a flag protesting the suppression of an HD-DVD encryption key, see en:AACS encryption key controversy. Free Speech Flag -- Our government has become increasingly willing to sacrifice the rights of its citizens at the altar of corporate greed. As ridiculous as it sounds, even numbers have become “intellectual property” that corporations can claim ownership of. We here at Badmouth think that idea stinks. We want to start a movement, a movement to reclaim personal liberties and decorporatize the laws of our nation. The letters "C0" are added to signify that simply publishing a number is "Crime Zero". Français : Version SVG d'un drapeau protestant contre la suppression de la clé de chiffrage des HD-DVD. 한국어: HD-DVD 암호화 키를 가리는 깃발의 SVG 버전. Nederlands: SVG-versie van een vlag die protesteert tegen de onderdrukking van een HD-DVD-encryptiesleutel. See also media coverage of this file, itself, from Slashdot (archived link). Bushell-embling, Dylan (May 15, 2007). "Digg finds the key is safety in numbers". Brisbane Times. Archived from the original on September 24, 2015. Retrieved on September 24, 2015. S, Ben (March 1, 2011). "46 DC EA D3 17 FE 45 D8 09 23 EB 97 E4 95 64 10 D4 CD B2 C2". Yale Law & Technology. Archived from the original on March 10, 2011. Retrieved on September 24, 2015. 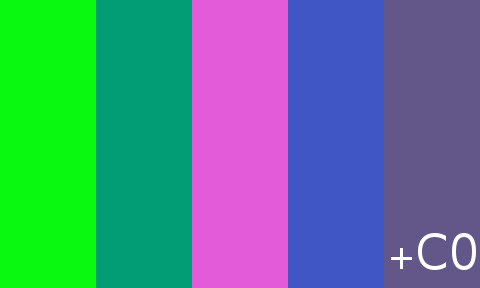 "A 'PS3 Flag', an homage to its predecessor, the 'Free Speech Flag'"
Thompson, Jeff (August 13, 2011). "AACS encryption key". Jeff Thompson. Archived from the original on September 24, 2015. Retrieved on September 24, 2015. "An example of this is the so-called 'Free Speech Flag', seen above." Crofton, Isaak ( 2015 ) Crypto Anarchy, pp. 160 ISBN: 978-1329059801. Kiyuna, A.; L. Conyers ( 2015 ) Cyberwarfare Sourcebook, pp. 291 ISBN: 978-1329063945. Wikimedia has received an e-mail confirming that the copyright holder has approved publication under the terms mentioned on this page. This correspondence has been reviewed by an OTRS member and stored in our permission archive. The correspondence is available to trusted volunteers as ticket #2012102710005831.
s:Free Speech Flag, text at Wikisource. This image has been assessed under the valued image criteria and is considered the most valued image on Commons within the scope: AACS encryption key controversy (en:AACS encryption key controversy).. You can see its nomination here. This work has been released into the public domain by its author, John Marcotte. This applies worldwide. John Marcotte grants anyone the right to use this work for any purpose, without any conditions, unless such conditions are required by law. current 10:55, 9 April 2009 480 × 288 (507 bytes) Fibonacci aggressive simplification. 02:14, 13 May 2007 480 × 288 (4 KB) Bryan Derksen Re-upload superior quality version with the bit of metadata Thebainer's objecting to removed. This page was last edited on 20 June 2018, at 03:34 (UTC).